More Live Phish to knit and crochet, new adult and children's fish hat patterns, a new fish scarf, half a fish hat, and a pullover pattern with stranded colorwork yoke for babies to size six with fish everywhere. 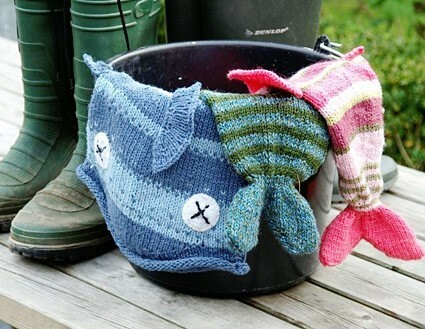 You'll find a very 'fishy' knitting jumper pattern at Petite Purls knitting and crochet children's website. 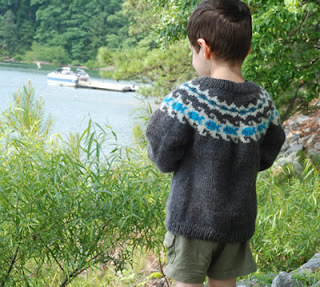 A brilliant pullover knitting pattern for all kids who love the water and everything that swims within. It's called "Beach Baby" by Christine H.Wilkins, sizes 0-6 years with the link below for the free fish pullover knitting pattern. Knitted on a US size 6 (4.5mm) circular needle with fish all around the yoke, it's the perfect match for the "free Phish hat" pattern, which can be knitted or a crochet fish hat pattern as well. 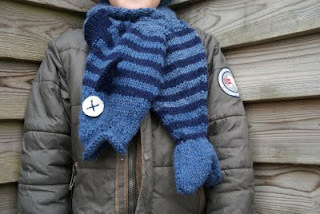 There's even a 'scarfish' fish scarf pattern now, a free download and print out pattern. A crochet fish hat pattern by Jessica Flowers, too. 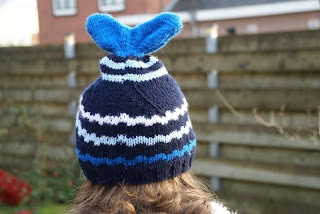 The sweater and hat set will be the favorite of little girls and boys who love the beach and the water world of worms, bugs, and deep sea creatures. These fishy hat patterns can be knit and/or crocheted in cotton for the spring and summer, or soft wool for cooler Vermont-like climes. 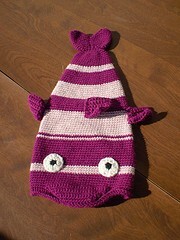 Beach Baby Stranded Colorwork fish sweater pattern for boys or girls. The 'scarfish' fish scarf knitting pattern and 'half a fish' hat knitting pattern are both new free patterns. Original 'deadfish' fish hat patterns are available in English, Dutch, Finnish, Norwegian, French, Spanish, German and Portuguese.